Leader of the Islamic Revolution Ayatollah Seyed Ali Khamenei, also commander-in-chief of Iran’s Armed Forces, appointed Brigadier General Alireza Sabahi Fard as the new commander of Iran’s Air Defense. 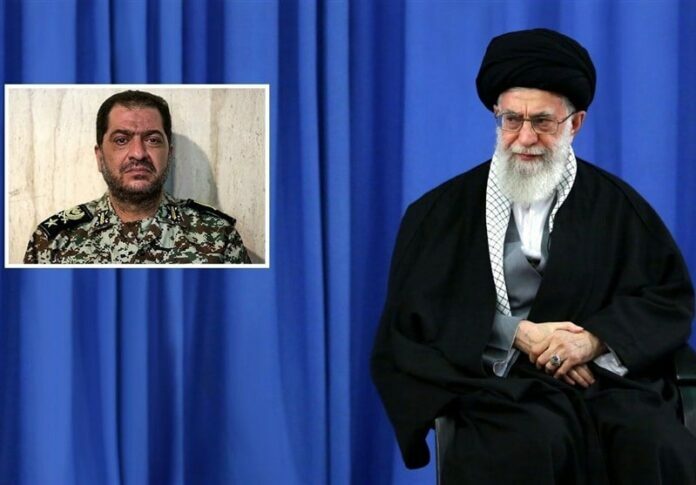 In a decree on Tuesday, Ayatollah Khamenei put Brigadier General Sabahi Fard in charge of the Khatam al-Anbia Air Defense Base (the central headquarters of Iran’s Air Defense). Considering your commitment, qualifications, and valuable experiences, I appoint you as the commander of Khatam al-Anbia Anti-Aircraft Base of the Army. Increased growth and strength of the anti-aircraft organization, along with identifying goals and actions of the enemies, enhancement of training, updated maintenance of tools and equipment and optimum usage of them, awareness and timely preparations, using various methods in countering aircrafts, while in an effective and efficient correlation with the great entity of the Army -the AJA (Islamic Republic of Iran Armed Forces)- and other related military and non-military sections are expected. I thank the efforts and services made by Brigadier General Farzad Esmaili during the time he held this responsibility. I ask Allah the Great to bestow success on everyone.